A free list of Wedding Dress & Bridal Shops In Ireland - over 200 Wedding Dress Shops, Bridal Boutiques, Bridesmaids Dresses, Vintage Dresses, Veils, Hats and more. 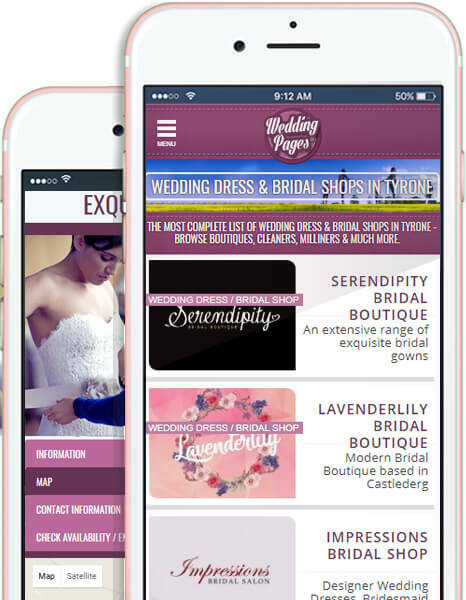 It's free and painless to list your Bridal Boutique - we can even do it for you! 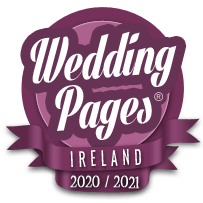 We are the only website dedicated to finding & listing EVERY Wedding Dress Designer, Bridal Shop, Boutique, Vintage, Veil, Hat & Accessory vendor in Ireland. 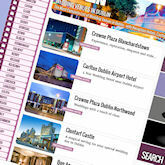 Inside you'll see videos, photos, live Facebook updates, phone, website and email links - you can even enquire directly with the boutiques / suppliers right there on the page.. This is, quite simply, the largest & most comprehensive Bridal Wear directory you will find. The best bridal wear designers / suppliers in Ireland don't always have to advertise, and even if they do, they may not show up in your internet search - We find them all & list them for you. Browse all the Bridal Wear / Wedding Dress vendors in your area - and while all the other sites only list paying advertisers, we're independent and list everybody - Guaranteeing you the widest choice. Making phone calls & composing emails is a pain. Use our Quick Enquiry feature to check directly with the bridal wear suppliers you like - Simple.